Did you know that one of the most common mental illnesses in the United States is anxiety disorder? In fact, it typically affects approximately 40 million Americans, age 18 and older (about 18% of U.S. population) (Anxiety and Depression Association of America, 2015). Do you have anxiety? Do you follow your prescribed treatment plan, exactly as prescribed? 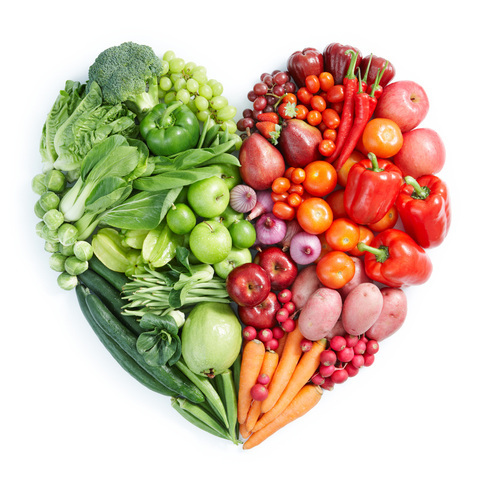 Would you like to learn how to improve your condition with healthy foods? If the answers are “yes” than you have come to the right place. Why? Well, because this article will teach you how to improve your health and ease your anxiety symptoms with a variety of healthy foods. What is anxiety? Well, it is a normal human emotion that everyone experiences from time-to-time. For instance, almost everyone experiences some degree of anxiety before an important test, a doctor’s appointment, speaking in front of large crowds, addressing an issue at work, and/or making a life-altering decision. So, what is anxiety disorder? Well, it is much more serious than normal anxiety. In fact, it is a serious psychological disorder that is characterized by persistent and unrelenting bouts of anxiety. In other words, anxiety disorder involves extreme worry, apprehension, and fear. What is the difference between anxiety and anxiety disorder? The most significant difference between normal anxiety and an anxiety disorder is the severity and length of the symptoms. For instance, basic anxiety symptoms typically subside once the stimulus (i.e. event) has been removed (i.e. speaking in front of a large crowd, an exam or test, important decision, etc.). In other words, once you have experienced and completed what was making you anxious, your anxiety dissipates, and you feel better. You may feel nervous or very worried, but it will not prevent you from functioning (i.e. completing tasks/assignments, going to work, school or appointments, or making important decisions). Anxiety disorders, on the other hand, may take on the form of: social anxiety, specific phobias, panic disorder, or generalized anxiety disorder. In other words, if you have an anxiety disorder, you will be classified as having one of the above mentioned disorders. Moreover, if you have an anxiety disorder, your symptoms (i.e. an overwhelming sense of dread, worry, fear, and angst) will more than likely last for weeks, months, or even years, in severe cases. More specifically, your symptoms may interfere with your ability to function. An anxiety disorder may cripple you to the point where you are unwilling or unable to get out of bed, perform chores, and/or socialize with others. Furthermore, an anxiety disorder can be acute (occurring sporadically) or chronic (persistent and reoccurring). The good news is that you can ease your anxiety symptoms, even if you have an anxiety disorder. How? Well, by adopting a healthier diet. Really? Yes, by consuming healthy foods (i.e. fresh fruits and veggies, whole grains, fish, water, low-fat dairy, and lean meats), you can take control of your condition, and banish anxiety symptoms from your life. You can ease anxiety symptoms by adding low-fat and/or Greek yogurt to your regular diet. Most yogurts contain healthy amounts of calcium, which has been shown to reduce anxiety symptoms. Other calcium-rich foods include: broccoli, cottage cheese, low-fat or skim milk, salmon, green beans and spinach. Note: If you want to add yogurt to your diet, but are lactose-intolerant – do not fret. Try coconut milk non-dairy yogurt, or pick up organic/vegan, non-dairy refrigerated or frozen yogurt from Stonyfield Farm. Another healthy food that can relieve anxiety symptoms is fatty fish (i.e. salmon, tuna, and king mackerel). Fatty fish is especially good for you because it contains high amounts of protein and omega-3 fatty acids (healthy fats that have been known to improve moods and reduce anxiety symptoms). Proteins also have the added benefit of boosting energy, repairing wounds, and regulating neurotransmitters (brain chemicals responsible for controlling your nervous system). Other healthy proteins include: lean chicken, turkey, low-fat mozzarella, pork loin, tofu, veal, lean red meat, beans, nuts, and eggs. Dark green leafy veggies like: collard greens, turnip greens, mustard greens, spinach, kale and Swiss chard can help zap anxiety right out of your life! How can consuming dark green leafy veggies reduce or eliminate my anxiety? Well, these veggies are filled with iron, which is needed to transport blood and oxygen to your organs (i.e. brain) and muscles. Iron also metabolizes proteins and aids in growth and development. In addition, this mineral supports healthy red blood cell production, which is essential for proper bodily functioning. Other iron-rich foods include: lean red meat, clams, pumpkin seeds, squash, nuts, liver, beans, pork, dark chocolate, tofu, and iron-fortified cereals. Note: An iron deficiency can trigger or aggravate anxiety and panic attacks. Yum…who doesn’t like sweet cherries? Well, if you are a lover of cherries, then you are in luck. Why? Well, because cherries can help ease anxiety symptoms. How? Well, cherries are chocked full of vitamin C, a water-soluble vitamin that aids in many different functions throughout your body. Most notably, vitamin C accelerates healing, strengthens the immune system, reduces bodily stress, regulates moods, reduces anxiety, and produces a “calming” sensation throughout the body. Vitamin C is a “wonder vitamin.” Other vitamin C foods that can improve your heath and reduce your anxiety symptoms include: cranberries, kiwi, blueberries, guava, strawberries, red peppers, green peppers, grapefruit juice, Brussels sprouts, oranges, cantaloupe, and raspberries. Did you know that healthy foods like brown rice can actually reduce your anxiety symptoms? If not, you are not alone. How? Well, brown rice contains large amounts of vitamin B1 (thiamine). Vitamin B1 supports nervous system functioning. It also aids in mood regulation, which is important for easing anxiety symptoms. Other healthy foods rich in vitamin B1 include: bread, lean red meat, yeast, legumes, black and pinto beans, nuts, Yellowfin tuna, cooked corn, Brussels sprouts, and whole grains. Butter? Yes, butter can relieve your anxiety in no time at all. How? Well, butter contains healthy amounts of vitamin B6 (pyridoxine), a vitamin that produces a “calming” sensation throughout the body. It also energizes the body, lowers stress, treats depression, and aids in the healing process. Other healthy foods rich in vitamin B6 include: fish, soybeans, chickpeas, lentils, soybeans, liver, baked potatoes, spinach, asparagus, yams, green peas, turnip greens, peanuts, sunflower seeds, bell peppers, whole wheat breads, bran, Yellowfin tuna, and wheat germ.